To enjoy the maximum health benefits from physical activity, your exercise routine should include a combination of aerobic and muscle-strengthening exercise. The 2008 Physical Activity Guidelines for Americans recommends that adults do 150 minutes of moderate-intensity aerobic activity and two days of muscle-strengthening activity per week. Moderate: If exercising at a moderate intensity, aim for 150 minutes per week (2 hours and 30 minutes). Moderate activities include brisk walking, yoga, or golf. Vigorous: If exercising at a moderate intensity, aim for 75 minutes per week (1 hour and 15 minutes). Vigorous activities include jogging, swimming laps, or uphill hiking. You can also customize weekly workouts with an equivalent combination of both moderate and vigorous activity. If 150 minutes sounds like a big-time commitment, break up the total time into 30 minute increments to make it more manageable. You can also spread out your 30 minutes of activity over the course of a day. Three 10 minute intervals are just as effective as one 30 minute session. 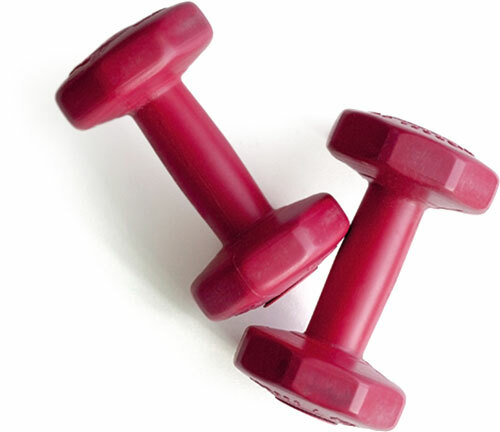 A well-balanced routine also includes strength training exercise. Be sure to do muscle-strengthening activities at least two days a week, working all major muscle groups – legs, back, arms, chest, hips, shoulders, and abs. Aerobic Activity: The majority of your child’s 60 minutes-a-day should be either moderate-or vigorous-intensity exercises such as running, hopping, skipping, riding a bike, dancing, or swimming. Muscle-Strengthening: Your child’s 60 minutes-a-day should also include activities such as gymnastics, climbing trees, or playing on playground equipment. This type of exercise builds muscle and should be done at least 3 days per week. Bone-Strengthening Activity: Jumping rope, running, playing basketball or tennis are examples of bone-strengthening activities, which should be part of your child’s routine at least 3 days per week. Aerobic, muscle-strengthening and bone-strengthening activities do not need to be exclusive of each other. For example, if your child is playing on a playground, he/she is likely engaging in both aerobic and muscle-strengthening activity at the same time. What Can I Do to Get (and Keep) My Child Active? As a parent, you can help shape your child’s attitudes and behaviors toward physical activity. Set a positive example by leading an active lifestyle. Make physical activity part of your family's daily routine. Take your kids to places where they can be active and give them toys that encourage physical activity. 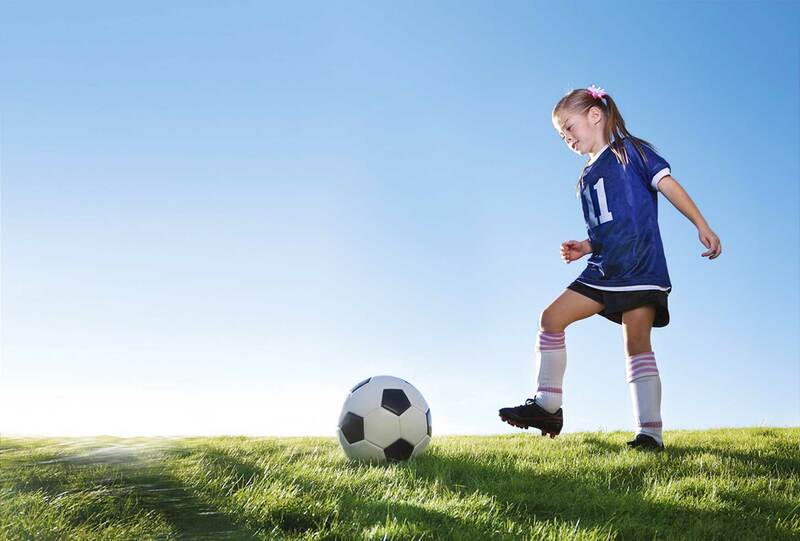 Be positive about your child’s sports and physical activities and encourage them to try new things. Limit your child’s screen time (computer, video games, tablet, and TV). Encourage your child to do fun, physical activities on their own. For more on how to make exercise fun and engaging for your children, check out additional tips from The Centers for Disease Control.